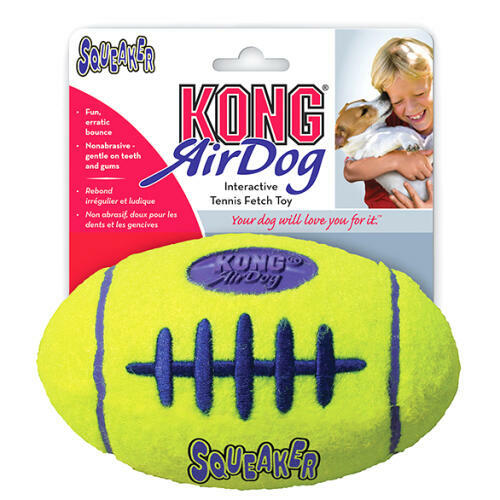 The Kong AirDog Squeaker Football combines two classic dog toys – the tennis ball and the squeaker toy – to create an instantly recognizable football shape that's the perfect fetch toy. 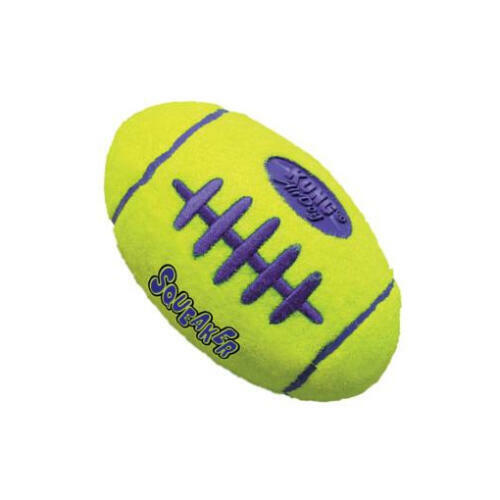 Unlike regular tennis balls, the high-quality AirDog Squeaker Football is made from a tough but non-abrasive type of material that will not wear down your dog's teeth. The toy includes a squeaker to add excitement and interest for your dog and to help stimulate play.